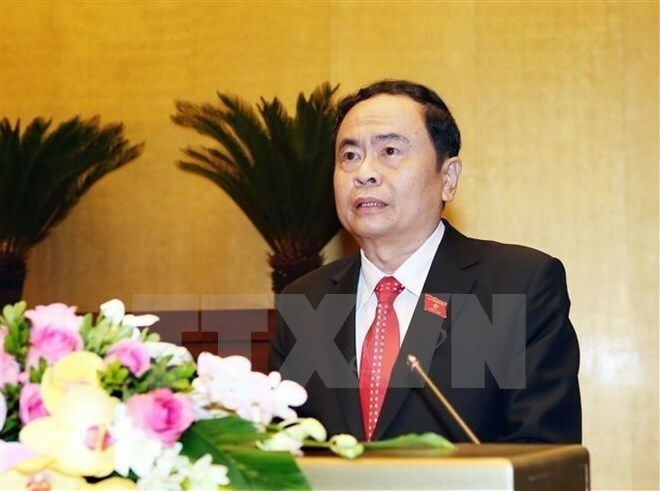 Hanoi (VNA) – Secretary of the Communist Party of Vietnam Central Committee and President of the Vietnam Fatherland Front Central Committee Tran Thanh Man has sent Chol Chnam Thmay festival greetings to Cambodia. His message of best wishes was addressed to Samdech Heng Samrin, Honorary President of the Cambodian People's Party, President of the Cambodian National Assembly, and President of the Solidarity Front for Development of the Cambodian Motherland. The New Year festival, called Chol Chnam Thmay in Cambodia, Songkran in Thailand, Bunpimay in Laos and Thingyan in Myanmar, takes place in April every year, attracting tourists with traditional culture, a festive atmosphere and water splashing traditions to wash away bad luck and pray for a good new year.